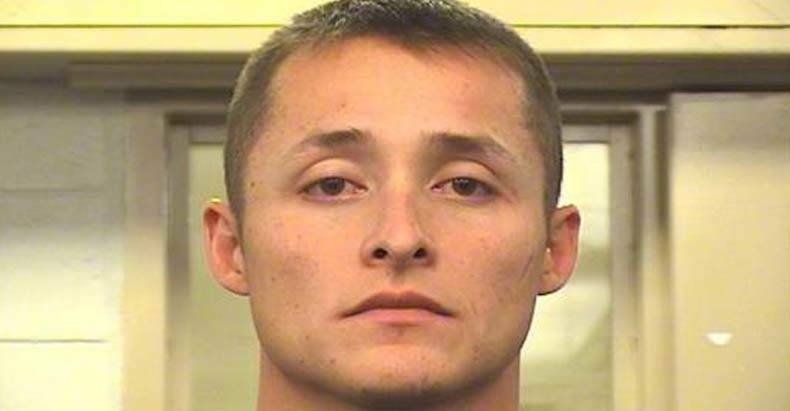 Albuquerque, NM — One of Albuquerque’s finest was arrested Friday afternoon after a cadet reported him for turning his body camera off to beat a man during a service call. Officer Cedric Greer, 24, was arrested by New Mexico State Police after video evidence showed him turn his lapel cam off just before beating a man, then turning it back on afterward. According to the report, the video shows his finger reaching for the camera to turn it off. Witnesses to the assault say that Greer acted without being provoked and that the victim complied with all orders both before and after the attack. Greer was arrested for misdemeanor aggravated battery because a police cadet turned him in after witnessing the incident. Greer is currently out on a $5,000 bond and enjoying a paid vacation. This is the second instance this month of a police cadet reporting brutality within the APD. Last week we reported on District Attorney Kari Brandenburg, who tells us that a police cadet turned in an officer and quit the academy after witnessing cops beat a homeless man.